Notes: Winchester Castle is a medieval building in Hampshire, England. It was founded in 1067. Only the Great Hall still stands; it houses a museum of the history of Winchester. 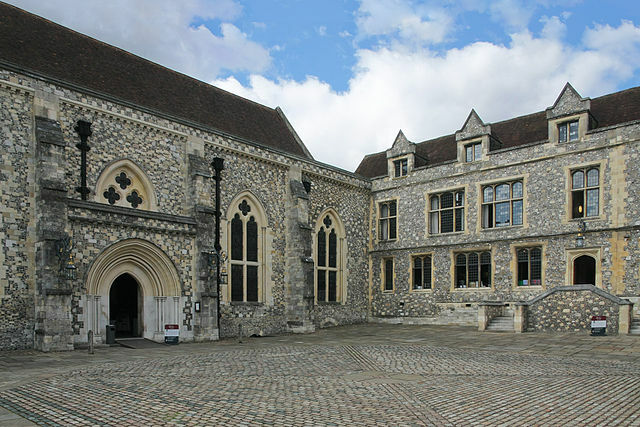 Since 1889 Winchester Castle has been the seat of Hampshire County Council whose offices neighbour the Great Hall. Nearby, the excavated remains of the round tower with Sally ports and Guardrobes in the medieval city wall can also be seen. Winchester Castle is also the name of a local football team.